How much knowledge do you think is needed to set up a basic website? It’s not a lot. You need an idea, a few bucks for buying the domain name, a little bit of know-how that will allow you to install WordPress, a basic understanding of how keywords work, and some content. All of the resources you need are readily available online, and if you plan to invest some time and a little money into it, you can have your own website up fairly easily. But the ease with which you can make these first steps in website ownership can deceive you. After all, they don’t include monetization, which is the sort of thing you should think about first. And they don’t mention that, after you buy your first domain, you might be inclined to buy a few more, because you have ideas for other websites, and then a few more for each of new ones you bought because you want to cover spelling mistakes. And a few more, because you want to cover the .net’s and .co’s as well. Before you know it, you have to pay hundreds of dollars yearly for domain names you will never actually use. So you need to be cautious, and you need a couple of rules that will guide your domain-buying decisions. 1. It’s always good to think twice. Let’s say you’ve made a successful website centered around a product or a service. 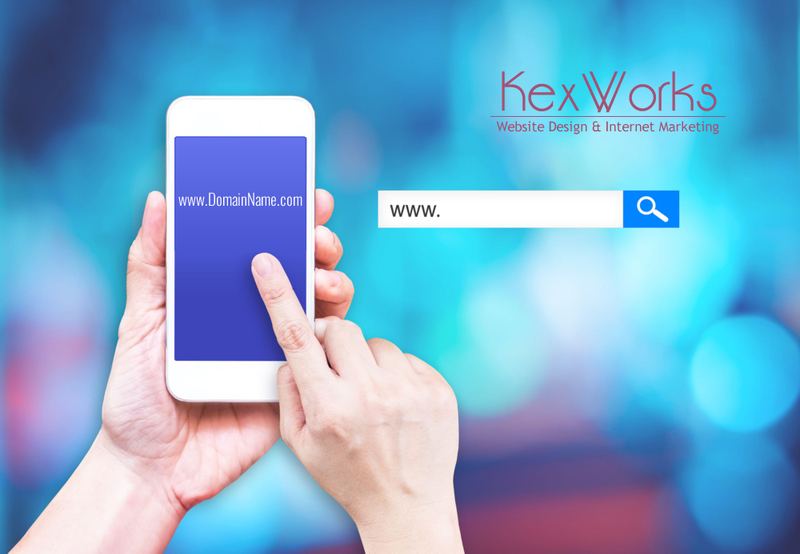 At some point, you decide you want to expand the line of products or services you offer, and you’re thinking about buying a new domain name and building an additional website. But let’s think about it. You already have a successful website, fully optimized and geared towards your target audience. Why would you want to start from scratch and go through all of the steps again only to create another website that’s geared towards the same audience? You shouldn’t, it’s a waste of time and money, and you’d be better off building on what you already have. If, on the other hand, you want to do something that’s radically different from the things you are already doing – and you want a new audience for that – then it might be justifiable to get a new website. The same principle should be applied to buying domain names that are misspellings of your original name. You might want to be proactive and buy a couple before you even know people are misspelling your domain name, but do you have to? You don’t, because it’s easy enough to find out whether you have a problem with misspellings, how big of a problem is it, and whether it’s worth rectifying. Finally, if you own a roster of websites that are doing okayish, but not really great, and you’re thinking about adding another one to the bunch, stop. Think again – wouldn’t it be better to spend that time and money on making at least one of your existing websites a solid, profitable, endeavor, instead of creating another mediocre, underperforming website? 2. There’s more to a website than the domain name. Premium domain names are fine to have, but they are nothing you should lose sleep over. The idea that an awesome domain name can carry a mediocre product into stardom is completely false, but its opposite is not. You can do wonders with a great product and a website that doesn’t have the best name possible. You should also avoid playing the SEO game when choosing the domain name. The fact that your domain name does not contain the exact keyword you’re building your website around doesn’t have to hurt you. It didn’t hurt Amazon – do a Google search on the term “books” and Amazon will be the second or the third search result, depending on how much time Google displays its own Google Books in the results. And speaking of doing a Google search, you should know that Google levels the playing field by giving a penalty to exact-match domain names. Just so you know. 3. A couple of things you shouldn’t forget. Of course, the best place to look for domain name ideas would be the existing websites that are doing well. Search for a keyword and you’ll see the domain names that rate well. See what your competition is doing, and learn from their success. Keep in mind the important things – your domain name should be easy to remember and easy to read. If possible, buy .com domains. They are the best known among your visitors, even though it’s possible to have a successful website with a different TLD. Also, for country-specific endeavors, country-specific TLD’s will work. Lastly, you should always be sure that you have a solid plan in mind when buying a new domain. You should be sure that the new domain will be of use to you, that it’s going to add something to your business, and not just sit around and wait until you’ve forgotten why you bought it in the first place.